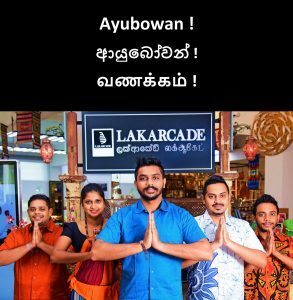 LAKARCADE is one of the biggest novelty Gift & Souvenir shopping mall in Asia located in the heart of Colombo, LAKARCADE offers a wide array of authentic Sri Lankan souvenirs and novelty gift items. The fine range on display includes carefully selected teas, spices, traditional art & craft items, batiks, gems, jewellery, silverware and many more creative products. Utilizing their traditional skill in Sri Lankan craftsmanship that has been passed down through generations, LAKARCADE creates pristine masterpieces that give this rural folk an opportunity to showcase their talents in the mega markets. Nestling in the heart of the Indian ocean lies the teardrop isle of Ceylon. Ceylon became known as Sri Lanka – “Resplendent Land” in Sanskrit. In so doing, it reverted to its most ancient name, coupled with the honorific prefix, Sri. However long before this, Lanka was the classical name bestowed on the island by the Ramayana, an ancient Indian epic. History evolved and the term Lak was derived from Lanka used and further evolved for centuries to come. This was the inspiration behind the brand name LAKARCADE where we were deeply motivated to incorporate the Historic significance of Sri Lanka to the contemporary world. This brought about the marriage of the words LAK-ARCADE. Further the tear drop nation and its immense significance in world history has inspired LAKARCADE to incorporate the island’s teardrop shape in its logo and motif from historic Ceylon which we believe is unique and is dear to our hearts. To become the global representative of authentic Sri Lankan Novelty Gift & Souvenir items by preserving our heritage. Become a viable, socially responsible marketing organization by enhancing its market share, delighting customers and empowering Sri Lankan craft entrepreneurs’ cluster and their families to carry out a sustainable entrepreneurship in the sector. Provide pleasurable service to our clients. Assure Finest quality, value for money & reliability. Mutual trust & respect in our relationships with grass root level craft entrepreneurs’. The highest standards of professional excellence, ethical conduct, integrity and personal responsibility.